In this study, an alphavirus vector platform was used to deliver replicon particles (RPs) expressing African swine fever virus (ASFV) antigens to swine. 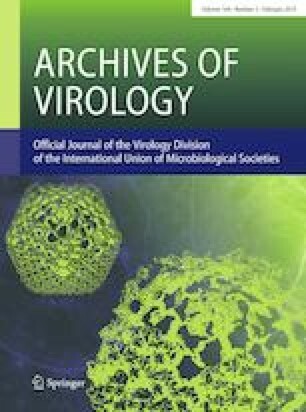 Alphavirus RPs expressing ASFV p30 (RP-30), p54 (RP-54) or pHA-72 (RP-sHA-p72) antigens were constructed and tested for expression in Vero cells and for immunogenicity in pigs. RP-30 showed the highest expression in Vero cells and was the most immunogenic in pigs, followed by RP-54 and RP-sHA-p72. Pigs primed with two doses of the RP-30 construct were then boosted with a naturally attenuated ASFV isolate, OURT88/3. Mapping of p30 identified an immunodominant region within the amino acid residues 111–130. However, the principal effect of the prime-boost was enhanced recognition of an epitope covered by the peptide sequence 61–110. The results suggest that a strategy incorporating priming with a vector-expressed antigen followed by boosting with an attenuated live virus may broaden the recognition of ASFV epitopes. We would like to acknowledge Dr. Baker for the contribution of the pHUE expression vector. We also thank Luca Popescu, Vlad Petrovan, Ana Stoian, and the personnel at the Biosecurity Research Institute for technical assistance. This work was funded by the Kansas National Bio and Agro-Defense Facility (NBAF) Transition Fund. Partial support was from the Department of Homeland Security Center of Excellence for Emerging and Zoonotic Animal Diseases (CEEZAD) (Grant no. 2010-ST061-AG0001), and Kansas Biosciences Authority/CEEZAD matching funds (Award no. BG2428). Experiments involving animals and viruses were performed in accordance with the Federation of Animal Science Societies Guide for the Care and Use of Agricultural Animals in Research and Teaching, the USDA Animal Welfare Act and Animal Welfare Regulations, and were approved by the Kansas State University animal care and use committees and institutional biosafety committees. This article does not contain any studies with human participants performed by any of the authors.